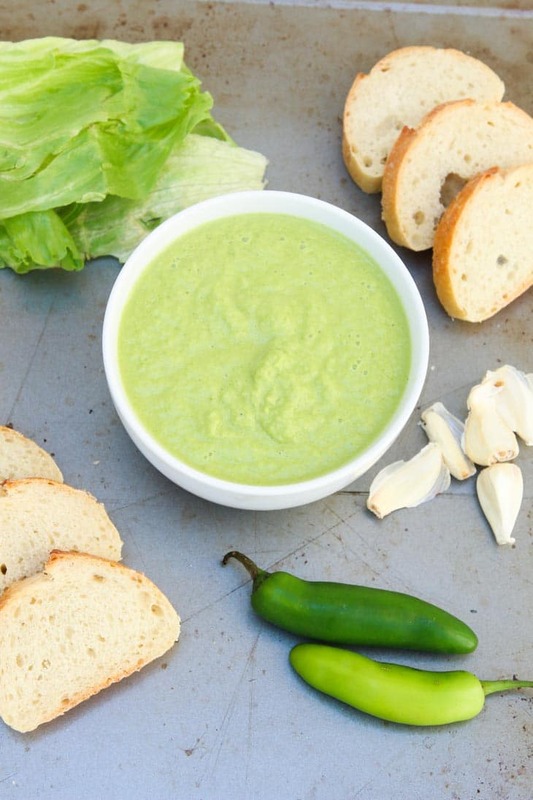 This Spicy Green Peruvian Sauce will win over any spicy food lovers out there. It contains only 6 ingredients, is vegan and gluten-free, takes only 5 minutes to make, and will leave you begging for more! When developing sauces, I typically have an end use in mind or pair them up with another recipe. This particular Spicy Green Peruvian Sauce was an exception. I created it with absolutely no end use in mind other than to simply enjoy it with some fresh bread or chips. It’s THAT good. Of course, after a few times of making it, I have no doubt that you’ll find multiple ways to incorporate it into your meals, especially if you like spicy and flavorful sauces! What Is Peruvian Sauce Made Of? 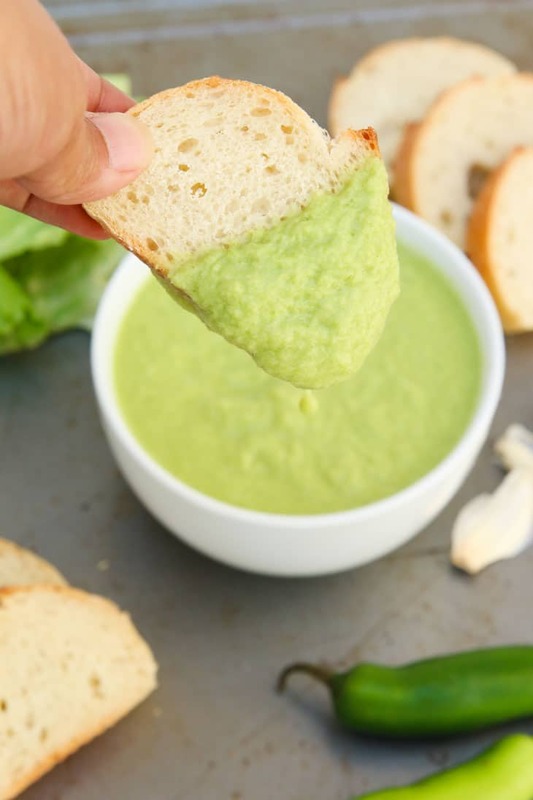 This easy 6-ingredient Spicy Green Peruvian Sauce is like no other, and I bet you’ll be surprised at what it’s made out of…LETTUCE!!! I’m not talking 1-2 pieces of lettuce, I’m talking about an ENTIRE head of iceberg lettuce. I can’t even remember the last time I bought iceberg lettuce since I typically use either spinach or romaine for my greens, but wow…who knew lettuce blended into a Vitamix could produce such a delicious sauce! This recipe was inspired by a Peruvian restaurant I visited a while back in my pre-vegan days. When I tried their starter green sauce, I was instantly HOOKED! It was so delicious, flavorful, and packed a nice punch. 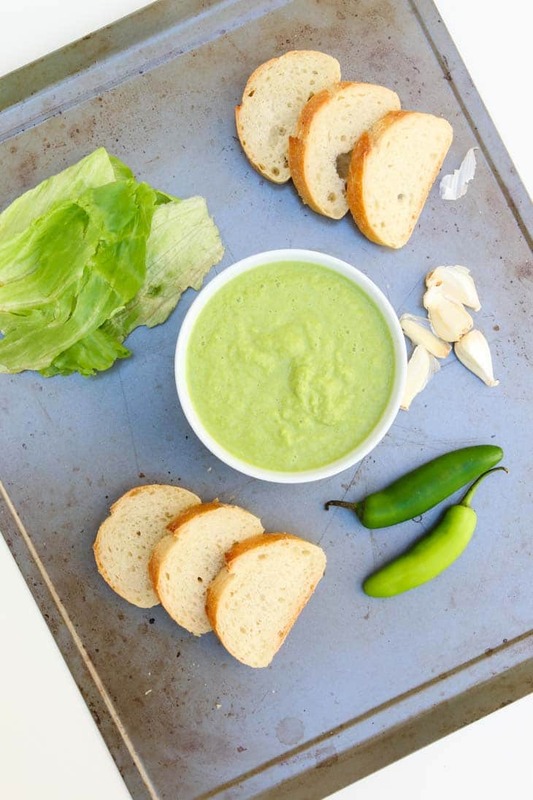 I knew I had to recreate my own version of this green sauce at home, which leads me to this easy recipe! This sauce at typically contains dairy when found at restaurants (either cheese or mayo of some sort). So I was intent on developing a vegan version of it with the same flavor profile. My Serrano peppers from the yard needed to be used, so I threw them in along with some romaine lettuce and a few other simple ingredients. After 2-3 trials, I had the perfect tasting sauce…bold in flavor, nice and spicy, and very unique in taste. This is the first time I’ve ever blended lettuce to make a sauce and it was delicious! 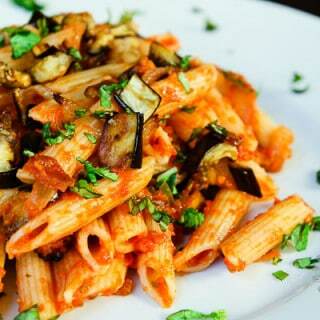 This Sauce Takes Only 5 Minutes To Make! What you need to do. Take 5 minutes out of your time at the grocery store next time to make sure you have the simple ingredients to make this sauce. Next spend about 5 minutes prepping and blending so you can taste this delicious vegan creation for yourself! It’s really that easy AND you can freeze the leftovers. 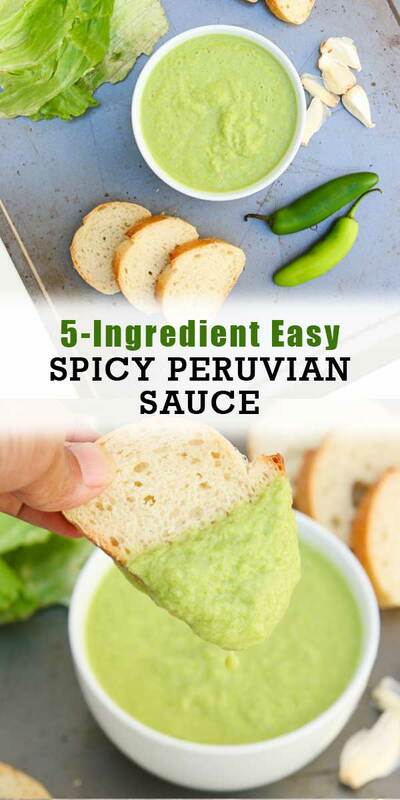 Take this Spicy Peruvian Sauce along with a french baguette to the beach or park this weekend for Labor Day it makes a delicious appetizer! It’s also great to drizzle on some tacos, burritos, or even spread on a sandwich (I already have some recipes in the works for you guys). It’s quick and easy to make, and I guarantee it will leave everyone hovering over the sauce! I’d love to see how you use it, so be sure to tag me on Instagram or Facebook, @vegetariangastronomy #vegetariangastronomy if you try it out! Now that's a way to get in the greens!! This sounds so good!!! A total must try! Haha thanks Rebecca! You'll love it! I know right?! Me too...I've dismissed iceberg for so long now haha! Spinach and romaine and other leafy greens have taken it's place. I was even laughing as I was recipe testing since I couldn't believe i was BLENDING an entire head of iceberg lettuce haha! But this sauce is so delicious!! Flavorful and packs a nice punch. 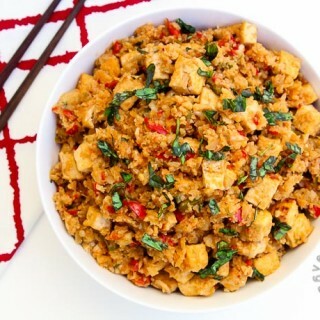 I know you don't like spicy, so I'm curious how this would be without the spice, but I imagine it'd still be delicious! 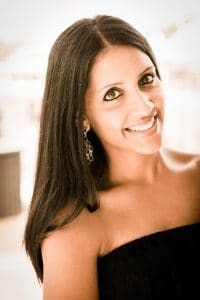 Haha...loved reading your comment Reshana! You crack me up...yes lettuce who knew right? It's SO good though! This is totally up your alley with it's spicy kick. I've done everything with it except pasta, so you have my mind thinking now =) Yes...I did switch recipe plugins the previous one was way outdated without any support. I need to go back and make sure all my recipes look ok, but hope you like it! Great color! Would be a fun dip for St. Patricks day! Love the flavors you have going on! I am so excited to try this sauce! I've seen it in Peruvian restaurants but had no idea what was in it. I'm so happy you have a vegan version! Thanks Amy! Yeah it was my first experience at it and remember it being great...most of them have mayo or cheese in them, but when I tried a variation of it at home, it tasted great! Still spicy and packed with flavor! If you try it out let me know! This recipe looks very rich and tasty. Great way to kick off my new weight loss program! Thanks. It's a great way to season up any sandwich or side since it's easy to make, healthy, spicy, and very flavorful! WoW, this looks so good !! 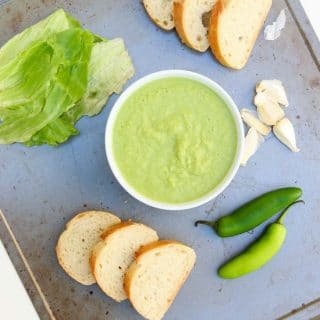 I've never used lettuce in sauce but what a cool idea and this looks light and flavorful. This sauce looks amazing! It looks so light and delicious! It is on my to try list! I love trying new things! The base is mostly just the water from the lettuce, so completely light and super delicious! You'll love it! New way to use lettuce! I like how you have serrano peppers for spiciness!! Sauce which packs the punch! Yes! Who knew it had such potential haha =) The spice adds a lot! WOW!! I never had any sauce with blended lettuce!! I loved it!! Thanks Marilyn! It's a first for me too, but definitely not a last...so good! Thanks Gin!! You'll love it...hopefully you get a chance to try it out! Lettuce?!? Such a unique combo!